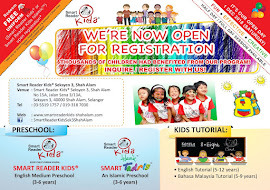 Smart Reader Kids, Seksyen 3 Shah Alam - Selangor Malaysia: Promotions at Our Center! Valued parents, as part of our effort to enhance children learning in their early educations, we had launch a promotional campaign for both of our preschool and tutorial programs. 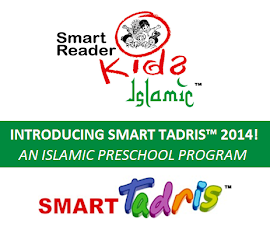 Try our 5-days FREE Trial for the preschool program, a program that are compose of important academic as well as the Islamic learning (Smart Reader Kids program or Smart Tadris program). Children will enjoy FREE pair of school uniforms upon registration within the 5-days trial session. With the trial session, parents can assess our programs and learn how it could benefit their children in building strong foundation towards their early educations. Many parents has found that our program has been beneficial for their children in building necessary academic and social skills needed especially as they enter into primary schools. Register for 5-days Free Trial or Contact us for more details! Parents can enjoy RM30 off rebate from our Tutorial Registration fees upon registration. The tutorial program in essence helps to enhance children existing language skills in their reading, writing and speaking. There are three available Tutorial program that can be choose from English, Bacaan and/or Mandarin Tutorial that are suitable for children who would like to increase and polish their language skills and would definitely helps them to adapt in their regular school syllabus at ease! 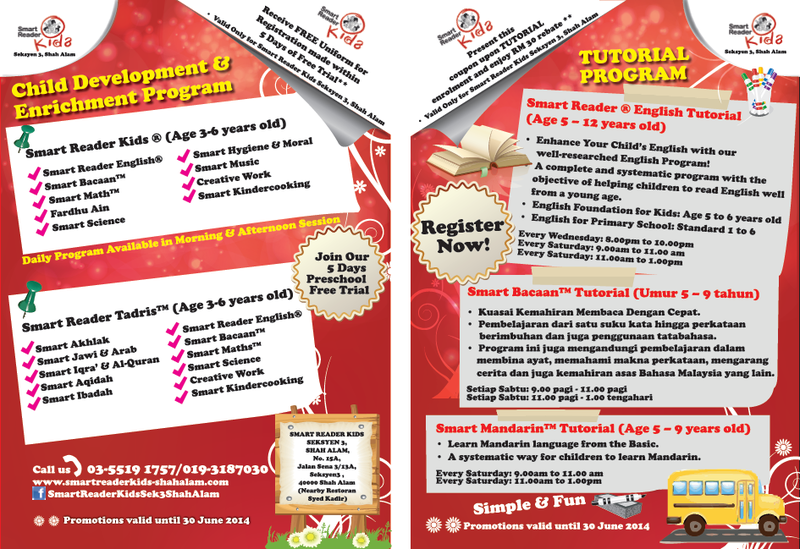 Register Tutorial programs or Contact us for more details!